When Matt Radley played his first box of records back in 2008, he had no idea what the future had in store for him. Triggered by his interest in dance music, Matt started diving into the specifics of dance production, dreaming of having his bag of tracks to play in clubs. When this British-based lad found out he had a knack for music production, he kept chipping away at his skills, until one day the boys from Endymion picked up his tracks. They were astonished by the quality and creativity Matt had within him, and one label deal later, Crystal Mad got the kickstart his career deserved. As soon as the team-up with the Nightbreed pack was set in stone Crystal Mad started pumping out release after release. In just over twelve months Matt’s managed to drop six releases and even created his first artist album “Whilst We’re Young”. That project was a critical success and a special labour of love, of which the title track was a very personal track for Matt to produce. 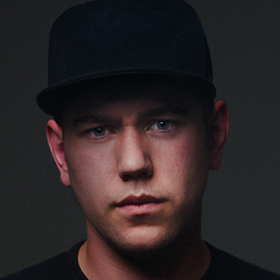 By doing collabs with Endymion, Kutski, Destructive Tendencies, Bass Chaserz and Degos & Re-Done, his distinct style spread through the scene like wildfire. Crystal Mad’s mixture of experimental kicks and captivating melodies makes his tracks perfect party material. It’s raw, it’s melodic, and it’s damn sweet to dance to. Tunes like “Higher”, “How It’s Done” and “Outta Control” have received massive amounts of positive feedback, strengthening Crystal Mad’s invigorating attitude. Ticking off support by Adaro, Digital Punk, DJ The Prophet, Rejecta and more is proving how quickly this Englishman has grown in just the first year of career. There’s no way the boy who picked up his headphones for the first time ten years ago knew what was in store for him by now. And with gigs at Q-BASE, Defqon.1 and Fatality Outdoor, plus more on the horizon, it’s safe to say Crystal Mad is ready to push forward and see where the next ten years lead to. Are you interested in booking Crystal Mad? Click here or email us via info@makeyoudance.nl!